Five years ago Audemars Piguet unveiled the Millenary 4101, giving its ovoid timepiece an adventurous new look, imparting some of the excitement that accompanies the inevitable Royal Oak. 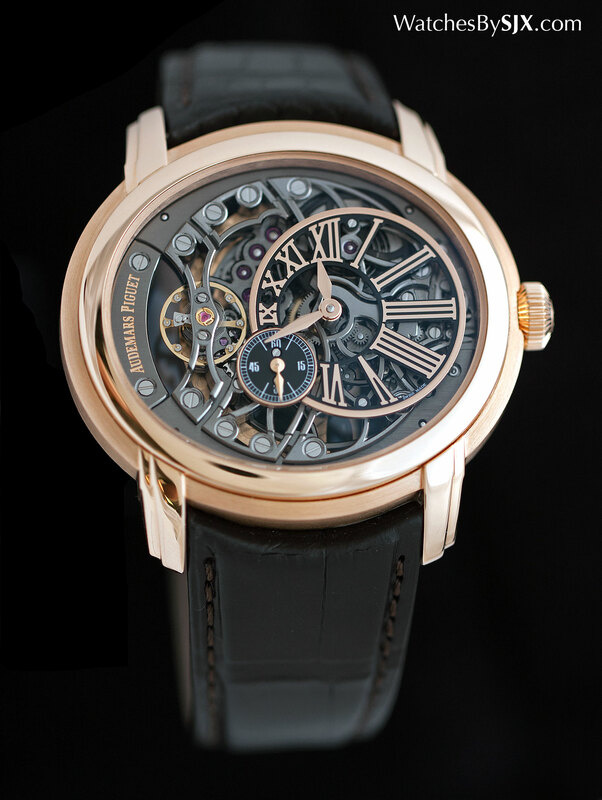 At SIHH 2016 Audemars Piguet went one step further by skeletonising the 4101 to create the Millenary Openworked (ref. 15352OR.OO.D093CR.01) – an aesthetic exercise, but one that’s beautifully decorated and styled. Conceived to have the movement form part of the dial, the movement inside the original Millenary 4101 was based on the calibre 3120, the basic in-house movement of Audemars Piguet. That was rejigged to give it a linear, left to right layout, as well as an off-centred sub-dial for the time, with the decorated base plate exposed as part of the dial, making the mechanics part of the aesthetics. 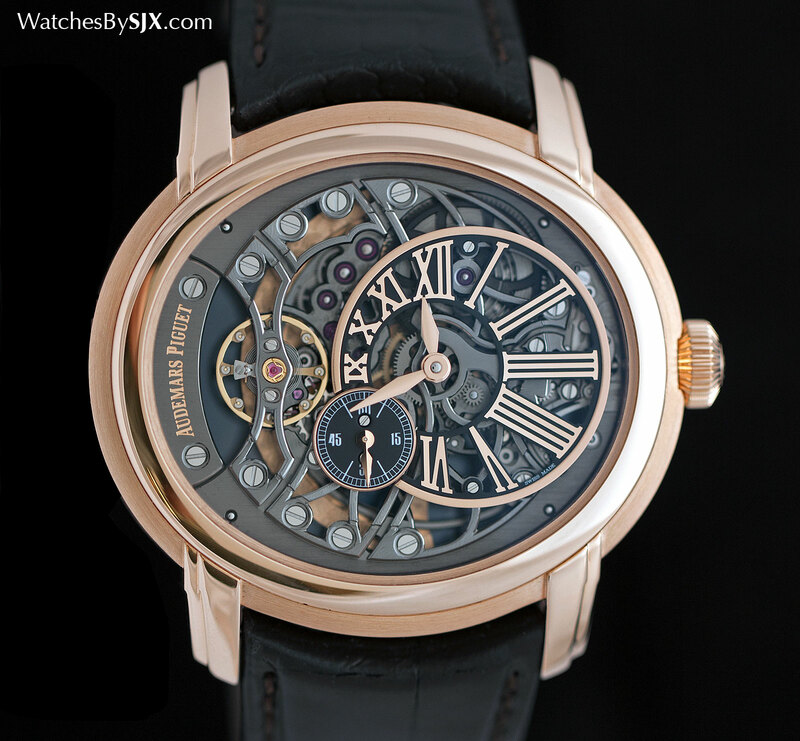 With as much as possible removed, the Millenary Openworked the calibre 4105 reveals even more. 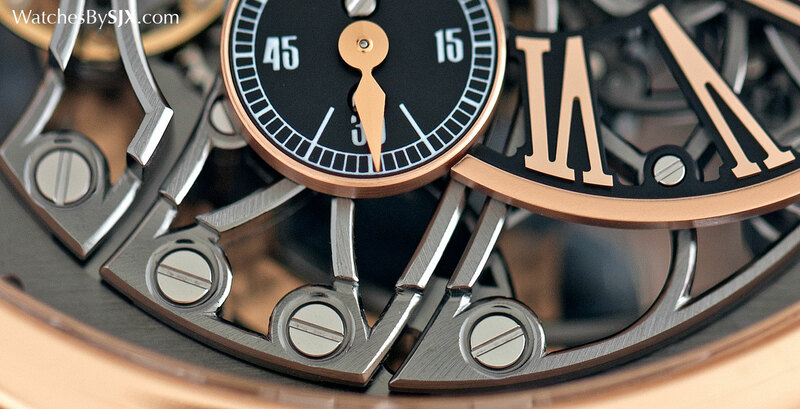 The architecture of the calibre 4101 was retained, with its most prominent features remaining in place: two rows of large screws hold down a series of bridges that span the front vertically, and the balance wheel taking centrestage at nine o’clock. 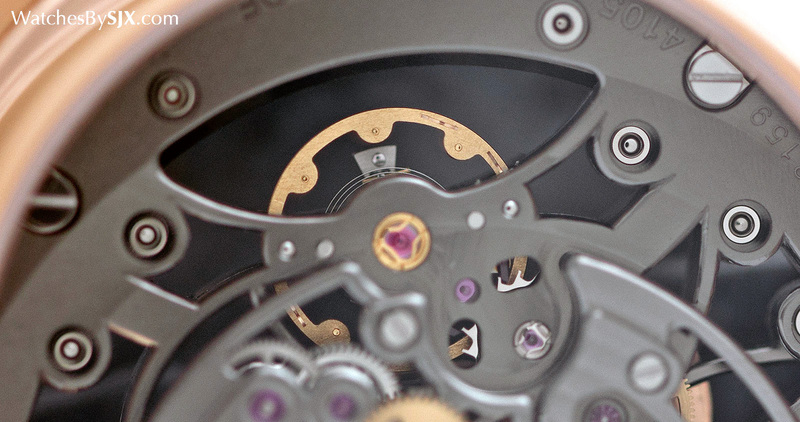 The sub-dial for the time has been open-worked as well, leaving the seconds as the only solid part on the front. 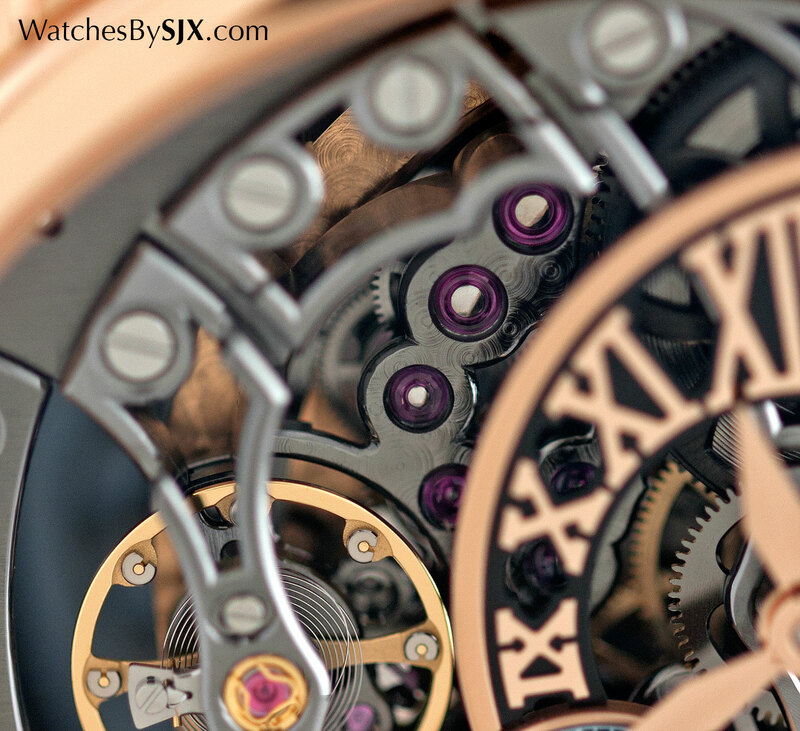 Intricate enough to distract from the time, the skeleton movement is leaves little to the imagination. You can literally peer inside. 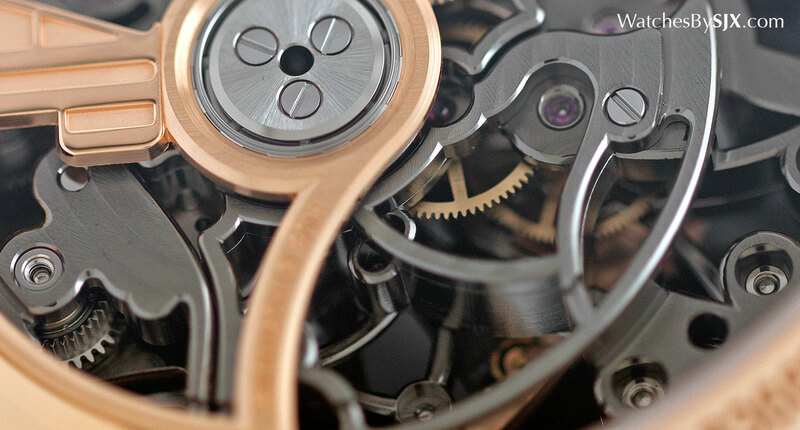 Up close the movement acquits itself well, with a high level of finishing, especially on the front of the parts. 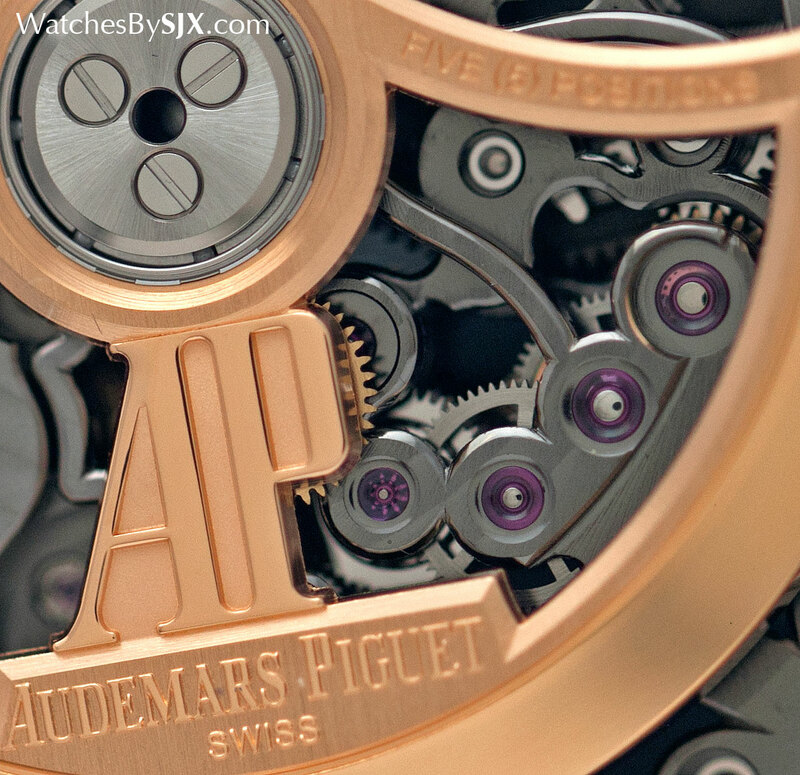 Audemars Piguet leans towards a clean look for its skeleton movements (ditto for the Royal Oak skeletons), so the bridges are finished with a fine, grained surface and a dark grey plating. But there is no mistaking the hand-finishing, particularly on the many polished bevels as well as mirror-polished screw heads. The bevelling on the sharp, inward angles of the bridges is notably masterful. That being said, and this is a shortcoming of many skeleton watches, too much can be revealed. The underside of the balance wheel, for instance, is readily visible from the back. It is unfinished, showing the shallow divots milled out for poising. 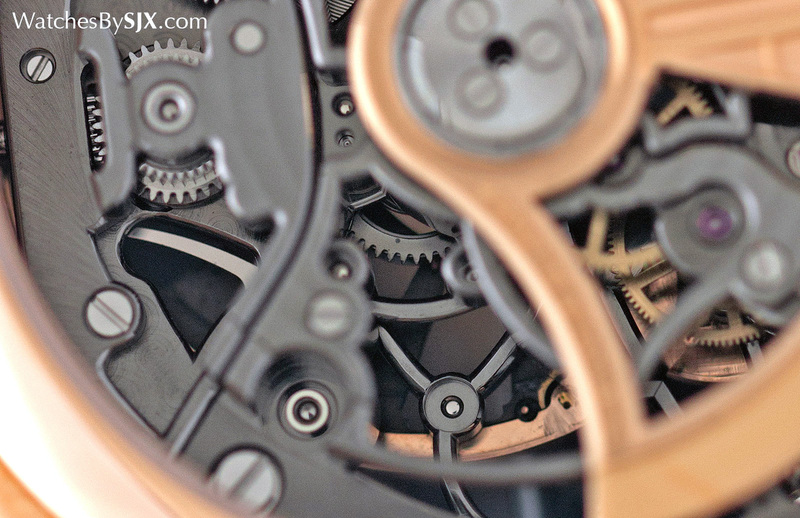 Flip over the balance wheel in any high-end, serially-produced watch and it will look the same, but it is not the prettiest part of the movement. At 47 mm in diameter is large, but not excessively so, since the shape is oval rather than round. It has substantial presence, looking expensive on the wrist, as it should, given the stiff price tag. 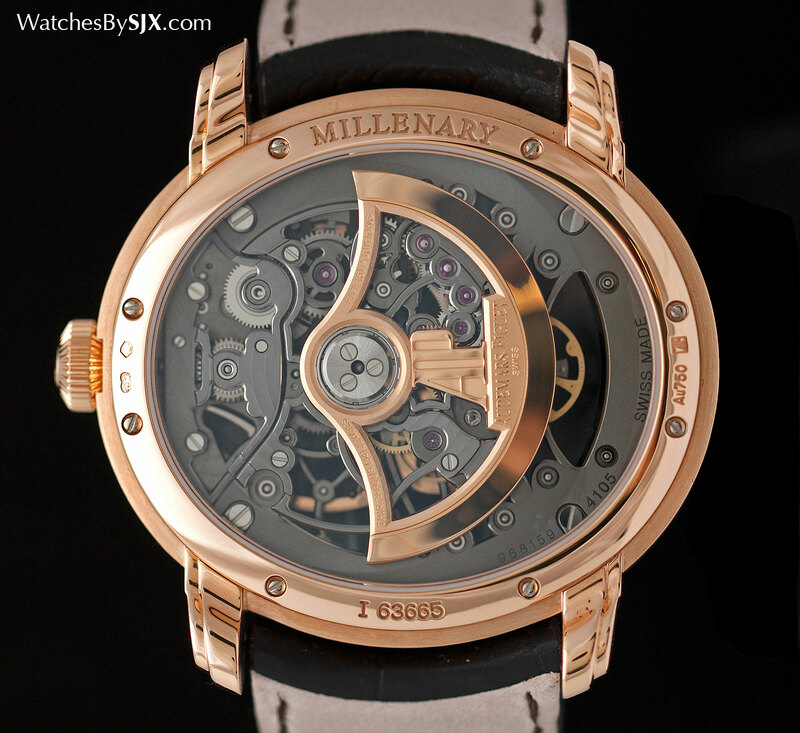 The Millenary Openworked (ref. 15352OR.OO.D093CR.01) is priced at S$94,300, equivalent to US$68,100.